Because Playtex always wants to offer more to its customers, it offers you the new Cotton Feminine range of tops. 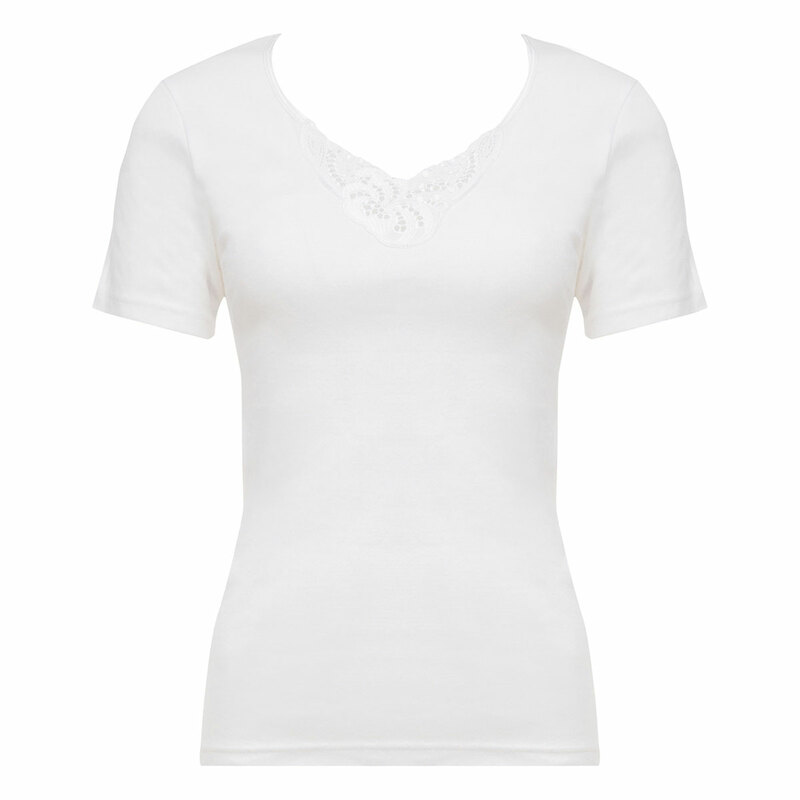 The short-sleeved white embroidered top is a classic design that you'll enjoy wearing every day. Designed for active women, it won't restrict your movements for a second. This T-shirt is incredibly comfortable and is designed in 100% fine stretch cotton. It's easy to live with and can be worn under any type of clothing and remain totally invisible. You'll love the ultra-feminine detail of the embroidered neckline on this undergarment. Once you've worn this white short-sleeved embroidered top, you won't want to do without it. It comes from the latest Playtex range, Cotton Feminine. Get the right answer to wellbeing with this elegant T-shirt. You'll love wearing it with a Mini, Midi or Maxi brief from the Cotton or Cotton & Lace collections.